The purpose of MoHS Student Athletic Trainers is to aid in increasing the knowledge and recognition of the of the organization to the student body of MoHS, make our program appealing to the student body, and aiding in the recovery of the student athletes of MoHS. Under the supervision of Reid Takano A.T.C. and Cynthia Shimoda A.T.C. the students learn various skills in taping, 1st Aide, and anatomy to provide them with the foundations for work in the medical field. 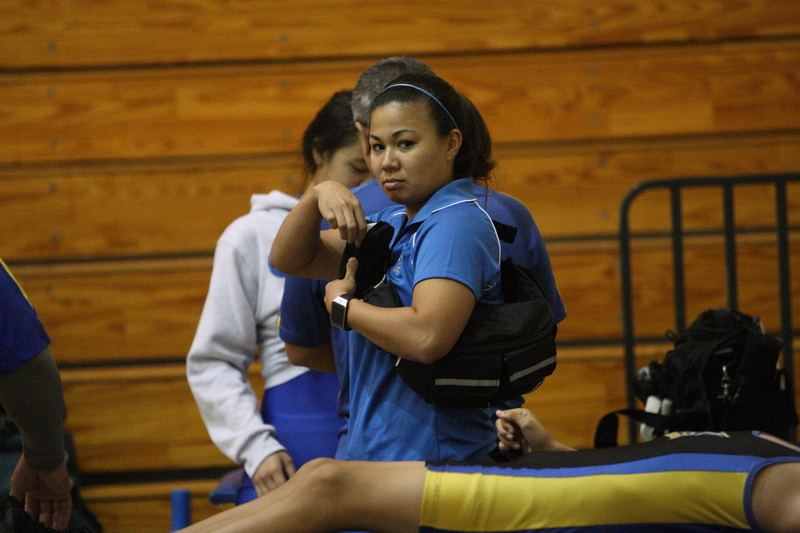 Activities: The student athletic trainers perform several activities during the year. Along with caring for the MoHS athletes at various sports events, the students also obtain CPR certification and attend the State Student Athletic Trainer's Workshop . Baylei - Plays for the Lady Na Menehune Volleyball team. Jasmine - Plays for the Lady Na Menehune basketball team. Cheyanne - Loves to laugh. - Plays for the Lady Na Menehune Basketball and Volleyball teams. Jamie - Student Body President. Learn basic Anatomy and Physiology to enhance your student AT career at MoHS. .
Disclaimer: Please be aware that we do not control or guarantee the accuracy, relevance, timeliness, or competency of our students.